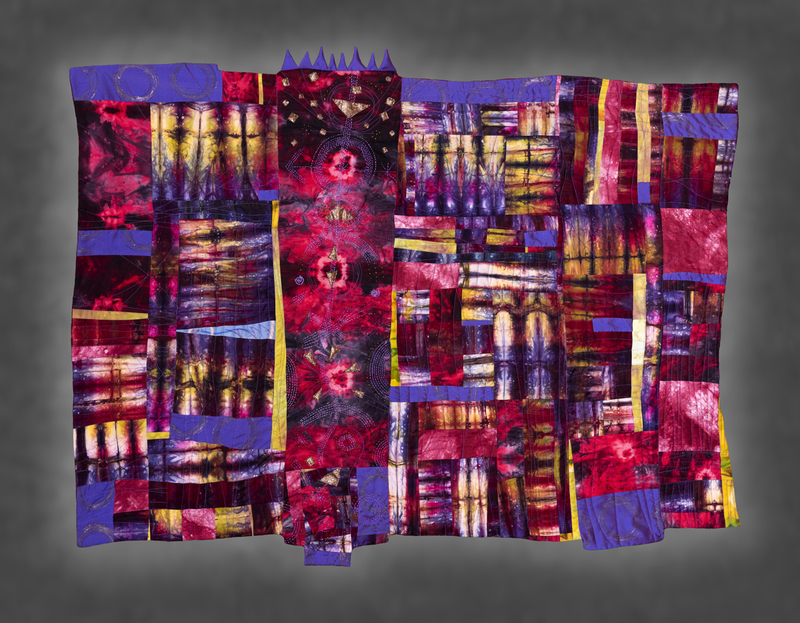 Art Quilt-mixed media textile collage. Embroidery, beads, applique. Hand-dyed fabric machine pieced and quilted.